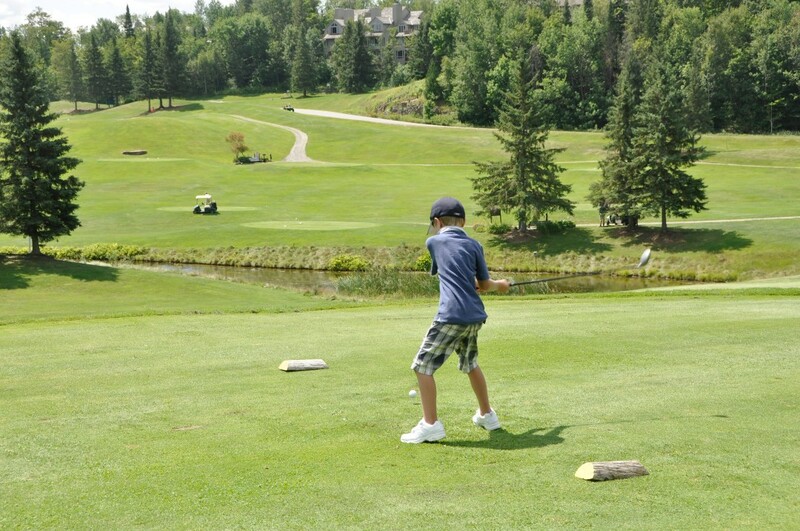 When it comes to Ontario golf, Deerhurst Resort has it all: two 18-hole golf courses, a golf academy for all ages, complete tournament planning and Muskoka’s best value membership packages. All within steps of everything that Ontario’s most complete vacation and conference retreat offers for golf getaways and group events. Deerhurst Highlands takes full advantage of the dramatic landscape while capitalizing on elevation changes, rugged granite outcroppings and dense forests; Cupp and McBroom created a design that is a genuine representation of the region, while maintaining a highly playable, well-balanced course that has stood the test of time. Despite its pro-level challenges, this 7,011 yard course is rewarding for a variety of playing levels. With 6 different tee deck levels including ladies, juniors and seniors, Deerhurst Highlands provides a golfing experience that is inclusive to a wide range of golfers. With a full service Pro Shop, golfers’ lounge and on-course food and beverage service to round out your golf experience, Deerhurst Highlands is committed to providing you with ultimate Muskoka golf experience. With sweeping views of the lake, a challenging layout, and meticulous grooming from tee to green, it is evident why Deerhurst Lakeside has gained a reputation as a fair, fun and challenging course for players of all skill levels. The front 9 sweeps around Sunset Bay before making its way to the back nine, which gives way to picturesque views of the surrounding countryside as well as Peninsula Lake. True to the Muskoka landscape, you will find yourself hitting from elevated tees, approaching slick undulating greens from deep valleys, while being challenged by strategic water hazards and deep bunkers. For a quick round or a chance to warm up before the big links, Deerhurst Lakeside lets you use every club in your bag. The driving range, practice green and well-equipped Pro Shop are great places to gear up and fine-tune your game. There are many premier golf courses in the area just minimally beyond our 30min radius. Please refer to the Golf Ontario website or at Explorer’s Edge Website.